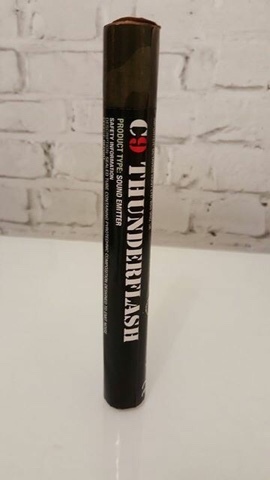 Cloud 9 Combat Smoke Grenades Review! 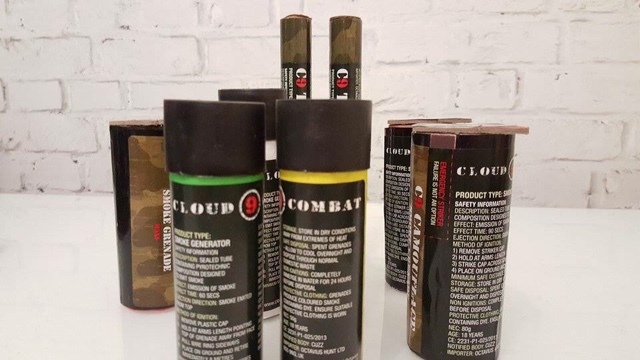 Cloud 9 Combat are the newly named paintball subsidiary of the leading pyrotechnics manufacturer Octavius Hunt Ltd who have been supplying the paintball industry for around 20 years. Ocavius Hunt were also the first UK company to gain CE classification for paintball and airsoft products! 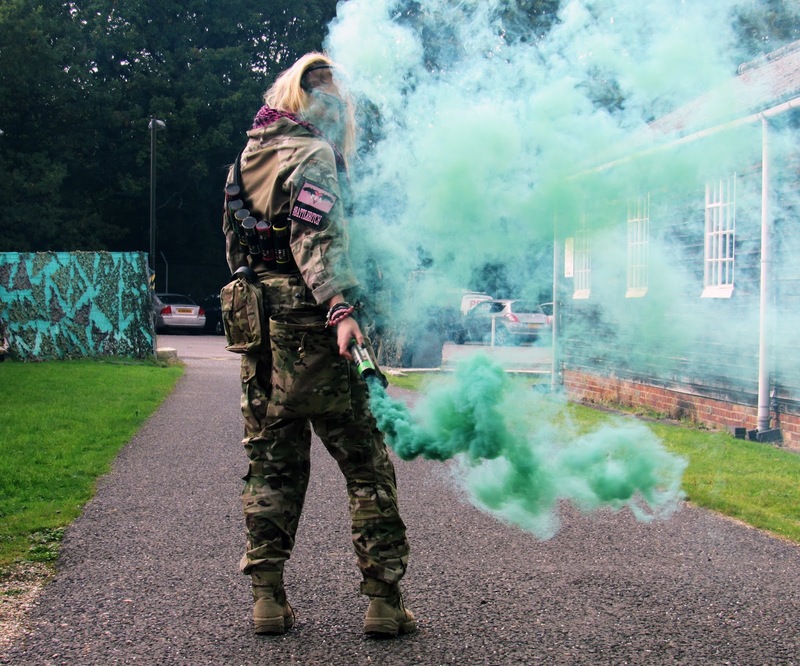 Their C9 Smoke Grenades and Thunderflashes are CE certified and follow the guidelines set out by the EU - all their products are safe to use in scenarios when the instructions are followed. Let's start with the C9 Thunderflash! The Thunderflash emits a loud bang and a burst of light to stun your opponents. They're lightweight enough to carry a few in a pouch, or an assault pack and with their built in striker they are easy to deploy. I did have a few issues with a couple of mine - the lamination of the paper wrapper meant the striker on some of the Thunderflashes was hard to separate by hand but I got round this by hitting the striker against a wall - separated and hey presto, ready to roll! They have around a 3 second fuse and what I like best about these is that you can throw them in stairwells and through windows - something I can't do with my TRMR or Hex Grenade due to their weight. At Warzone Battle Simulation's Operation Sledgehammer which was held at Sennybridge FIBUA training camp in Wales which for those of you who haven't been is a training village of around 25 buildings with windows galore, so these came in really handy. As CQB players, my squad Wolf 1 were in our element and these really helped clearing those buildings, throwing one in through the window and following it in lead to us taking ground quickly. I was really impressed with the C9 Thunderflashes and they turned out to be a vital tool during my Ops but I feel the packaging could be improved slightly as some of the striker caps were hard to separate whilst wearing gloves and it isn't uncommon to loose the striker plate from the cap itself. Next up is the C9 Camouflage 90 second maxi grenade! 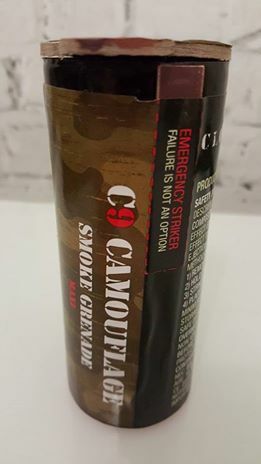 The original camouflage smoke grenades are a high output grenade with a 90 second burn time that provides a thick covering of camouflage smoke for around 125 cubic metres. The grenades are tested, low toxicity and CE rated. They are really easy to strike, just peel the striker cap off which is easily done even with gloves on, strike, shake and throw - they even have a secondary striker because 'failure is not an option'. C9 sent me their full range of colours - red, white, green and yellow. 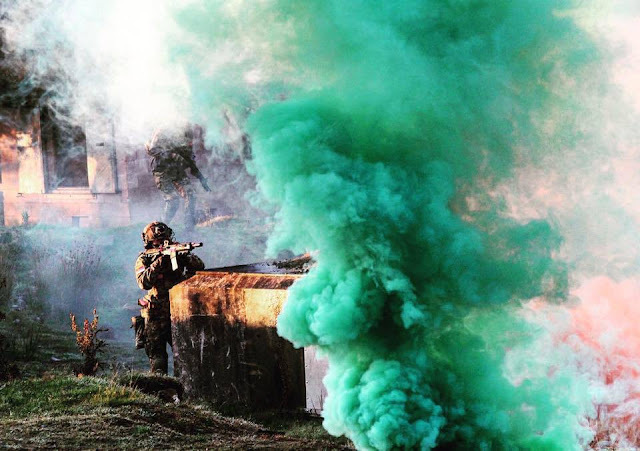 My favourite out of all of them has to be the green smoke as it appeared to give a denser more consistent coverage than the other grenades especially outdoors in the MilSim environment. 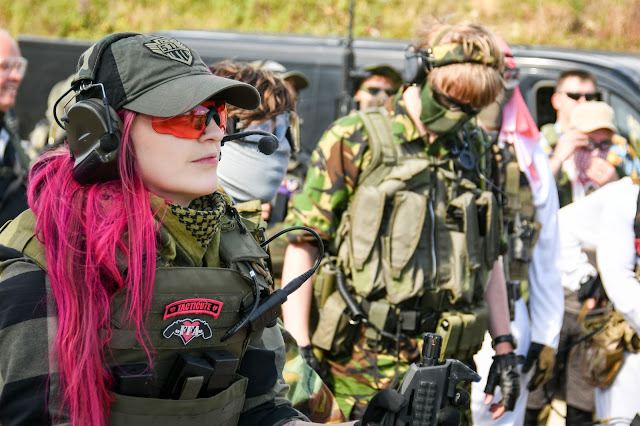 I used all of my smoke grenades that weekend to full advantage and was thoroughly impressed by them, my only complaint is that they have a very strong sulphur smell which can be a little overpowering if the smoke makes its way into enclosed spaces. Thanks for the write-up and piccies. Just the sort of thing I was looking for. Thanks for the write-up and piccies. Just what I was looking for.